Simon & Schuster Books for Young Readers, 9780671662486, 32pp. A rhyming, vibrantly illustrated picture book based on the folk song of seven soldiers. 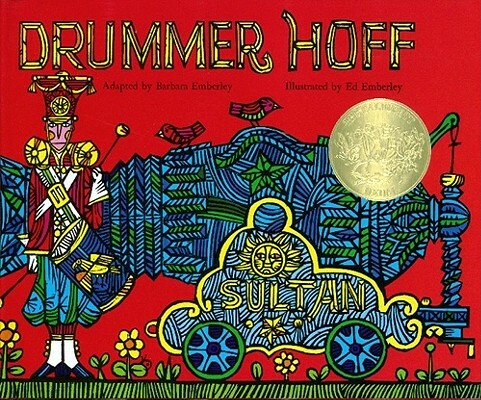 Ed Emberley won the 1968 Caldecott Medal for his bold illustrations for Barbara Emberley’s jaunty adaptation of the cumulative folk song about soldiers who build a magnificent cannon and Drummer Hoff, who fires it off. Barbara and Ed Emberley’s collaborations include the Caldecott Honor Book One Wide River to Cross. Ed’s books have also been honored on the New York Times’s annual Best Illustrated Books List. The Emberleys live in Ipswich, Massachusetts. "The spark comes from the...wildly colored woodcuts always under control until the grand and glorious blastoff."